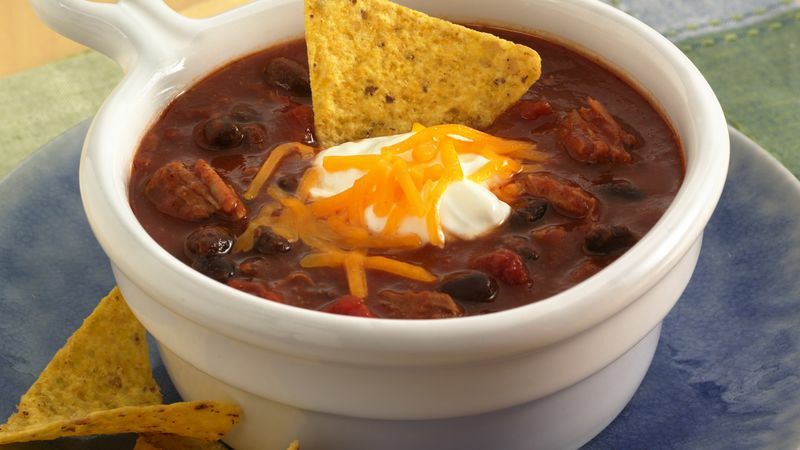 In 4 1/2-quart Dutch oven or 4-quart saucepan, mix all chili ingredients. Heat over medium-high heat to boiling, stirring occasionally. Reduce heat; simmer uncovered 20 minutes, stirring occasionally. * Serve with choice of toppings. *For a thicker consistency and more flavor, simmer longer. If time does not permit longer cooking, mix 1 tablespoon cornstarch and 1/4 cup cold water until blended. Stir into chili; return to boiling and cook until desired consistency.